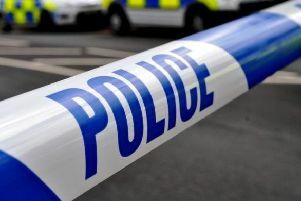 Two off-duty police officers have been praised after they thwarted an attempt to steal £4,000 an 80-year-old neighbour. Their actions have been praised publicly by senior officer Inspector Mark Rosser. The woman had received a call from someone claiming to be the police asking for £4,000 in cash. The caller falsely told her that the money would be repaid from police funds, Inspector Rosser said on Twitter yesterday evening. After finding out about the call the two off-duty officers made sure they were there for the time of the arranged ‘collection’. A man has since been arrested. Inspector Rosser praised their actions on Twitter: “Great job by two off duty cops in Eastbourne. Operation Signature is Sussex Police’s campaign to identify and support vulnerable victims of fraud within Sussex. Increasingly fraud is becoming more complex and deceptive, much of which is targeted at vulnerable and elderly people, police say. Watch the above video to see if you can spot some of the common signs of fraud. It has been produced by Sussex Police for educational purposes and has no direct link with the above story. If you suspect you or someone you know may be becoming a victim of fraud, contact police on 101 or report online.